The tennis smash is one of my favorite shots because of the exhilaration you feel, when your favorite tennis player executes it with power and grace. A smoothly-executed smash is also a sure way for the tennis player to bag points quickly. Continental grip is best for shots where you are swinging the racquet overhead. The grip is also the most comfortable, as you won’t strain your wrist by aiming overhead to any area of the court. 2. 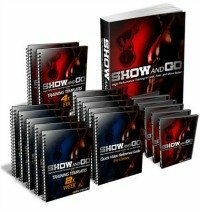 Work on your footwork! The most efficient and safe way of handling an overhead is to turn sideways and then side step backward and forward according to the depth of the lob. Being sideways and adjust your positioning by side stepping, back pedaling or crossing over will allow you to change directions easily if you miscalculate the lob. However, when aiming the lob or the incoming ball, don’t ever move backward with your chest facing the net. This will never work for you! In the end, practice quick footwork so that you don’t lose your balance and hit the ball smoothly. When the ball is approaching you and it is in its highest point then you need to get your hands and racquet into position. It is always a good idea to feel or imagine both hands going up together. Your non-hitting arm should extend up towards the ball so that you can it use as an aid to track the incoming ball while your hitting arm should position your racquet behind you. When the ball is almost near your head, strike it with your arm fully extended. Also, one of the things that work for me is keeping my head still while keeping my eyes on the ball till my racquet makes connection with the ball. You might have the skills for the shot, but if you are not confident about it then you will make a blunder. 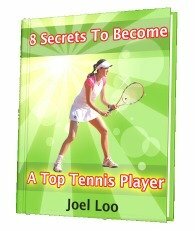 Believe in yourself while keeping these tips in mind and you will execute an awesome tennis smash! 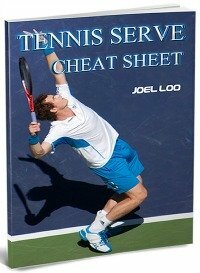 From "Tennis Smash: 5 Great Tips For You To Improve Your Smash" To "How To Play Tennis Efficiently And Become A Better Player"